Embracing biodiversity and creating a range of different habitats is key to successful gardening. A polytunnel can allow you to extend the biodiversity even further, making it possible to grow a wider range of plant species – perhaps even ones that would not usually be able to thrive in your climate. While most polytunnel gardeners focus on annual fruits and vegetables – branching out to consider growing other plant types could be interesting. It could also allow you to develop enhanced growing systems – better able to meet your food requirements and other needs. 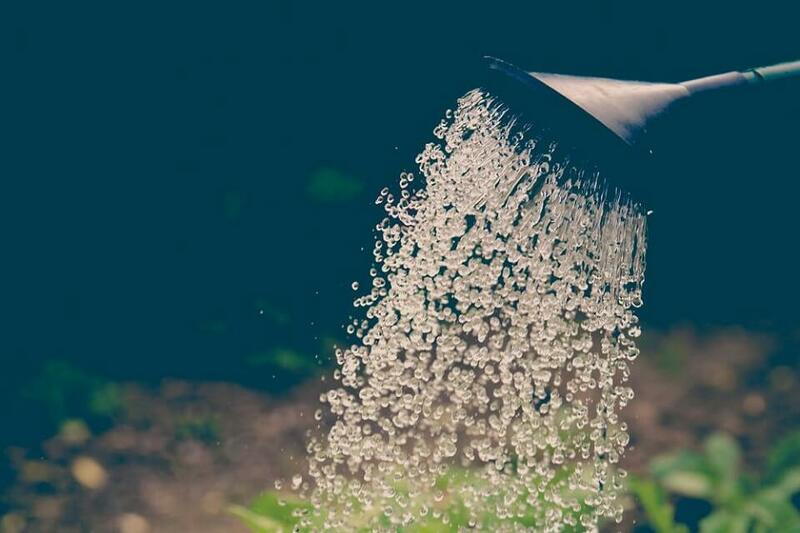 In this article, you will learn why and how you could create a water garden in your polytunnel. What is a Water Garden? A water garden is simply a garden that utilises water as a medium for growing plants. Sometimes, they also provide a habitat for fish and/or other aquatic creatures. There are many different types of water garden, ranging from the most basic tubs or barrels, to far more sophisticated ornamental or food production systems. Why Create A Water Garden Inside a Polytunnel? A water garden will increase the range of plants that you are able to grow. It could allow you to grow aquatic and marginal plants as well as the usual diversity of soil-grown species. What is more, certain water gardens may also allow you to incorporate fish, or other aquatic species into your polytunnel ecosystem. Water stores heat very well. This means that adding a water garden can also help to regulate the temperature inside your polytunnel. The water included in your polytunnel will catch and store heat energy during the day and release it once air temperatures fall. This can help to avoid temperature extremes and even out the temperature throughout the year. While a water garden can be beneficial anywhere in your garden, a polytunnel water garden has the additional benefit that it could be used to house exotic plants and perhaps even exotic fish, especially if there is a heating system used in the polytunnel which can allow subtropical or even tropical conditions to be maintained. Most polytunnel gardeners will grow edible food in the ground, or in raised beds, utilising soil as the primary growing medium. However, it is also possible to grow food crops in water. A polytunnel garden using water could take the form of a hydroponic or aquaponic system. A little more information on these systems can be found below. However, suffice for now to say that both of these growing systems can use less water and be more productive than traditional growing methods. One final reason to consider a water-based garden for your polytunnel is to make it a more pleasant place to relax and unwind. If you have a seating area in your polytunnel, consider how much better it could be if you could enjoy the sight and sound of water. A simple wildlife pond could be a fantastic addition to your polytunnel garden. A pond anywhere in your garden can be a boon for wildlife, helping to increase the biodiversity of the space. You may not have considered incorporating a wildlife pond inside your polytunnel – but this could be something to consider. At their simplest, wildlife ponds are simply containers which have a number of aquatic plants, along with habitat for aquatic and amphibious creatures. Even a pond the size of a washing up bowl could be big enough to attract beneficial wildlife to your polytunnel. However, in order to maximise the wildlife attracting benefits of your pond, and the benefits of temperature regulation, you could consider a larger, in-ground pond – even inside (or partially inside) a polytunnel structure. Such a pond could also be connected to your rainwater harvesting system, to make the most of the natural resources at your disposal. Do not dig a large deep hole with straight sides. Try to keep the shape natural and vary the depth, with a deeper section in the middle, shallower sides and one end that slopes gently upwards to a sort of beach area. If there is not a gently sloping side, you will have to incorporate an ‘escape route’ for any wildlife that might fall into the pond and otherwise not be able to get out. Consider a natural looking pond with waving curved edges rather than an unnatural geometric shape. By varying depth and maximising edge space you will create a large number of beneficial little ecosystems. If you want to be particularly eco-friendly and sustainable you could consider a very simple and natural clay lining for your pond, which is possible, especially if you have a lot of clay in the soil in your area. Alternatively, there are a range of pond liners on the market. If going for a plastic one, make sure you do all you can to ensure it has a long life and will last. Plastic waste is a problem. If possible, use rainwater harvested from your roof to fill your pond. The addition of a bucket of water from a nearby watercourse or another garden pond in the area will give your pond a helping hand in establishing a viable ecosystem. Consider all the layers of vegetation in your pond as you would consider the layers in the rest of your garden. Aim to incorporate as many different aquatic and marginal plants as possible. If the amenity and enjoyment of the polytunnel as a recreational area is one of your major concerns, you could consider enhancing your simple wildlife pond with a water feature. Imagine being able to relax in your polytunnel next to a small stream, or with the trickling burble of a waterfall. Most water features are created using an electric pump. With the exception of solar powered pumps, or those powered entirely with renewable energy, electric pumps are not really in keeping with a eco-friendly polytunnel garden. There can also be challenges involved in wiring a polytunnel for electricity. If you would love to have a waterfall or small stream in your garden and long for the sound of flowing water then do try to find a solar pump if at all possible. Then you can listen to your babbling brook or wonderful waterfall with a much clearer conscience. If you want to take your recreational polytunnel to the next level, you could even consider creating a water garden that can also serve as a natural swimming pool. A natural swimming pool is one which uses only natural methods of filtration (gravel, plants, beneficial fauna) to keep it clean and fresh without the addition of any nasty chemicals. These pools can offer a more organic and relaxing place to enjoy a swim. They are cheaper to create than ordinary back garden swimming pools and will, unlike most pools, cost nothing at all to upkeep and run. Placing one of these inside a polytunnel can make it more useable in the UK climate, and can also give a level of privacy from your neighbours. Hydroponics systems use water as a medium to grow plants rather than soil. These can be created on a range of different scales and can be ideal for incorporation into a polytunnel. If you are interested in hydroponics, a good place to start might be this beginner’s guide. One step up from a hydroponics system, an aquaponics set up incorporates both water-grown plants and fish. Aquaponics could be used to increase the yield from your polytunnel and provide you with fresh fish as well as home-grown fruits and vegetables. Check out this beginner’s guide to aquaponics, to find out a little more. Do you have a water garden in your polytunnel? What form does it take and what benefits does it have? Let us know in the comments below. Previous Post Are Polytunnels Environmentally Friendly? Next Post How Long Does the Polythene Cover Last?